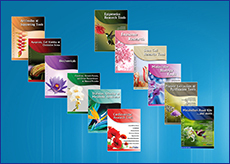 Nitric Oxide Fluorometric Assay Kit | K252 | BioVision, Inc.
• The fluorometric kit provides a simple two-step process for quantitative measurement of total nitrate/nitrite productions. The assay can be easily done in a 96-well plate. Nitric oxide (NO) plays an important role in neurotransmission, vascular regulation, immune response and apoptosis. 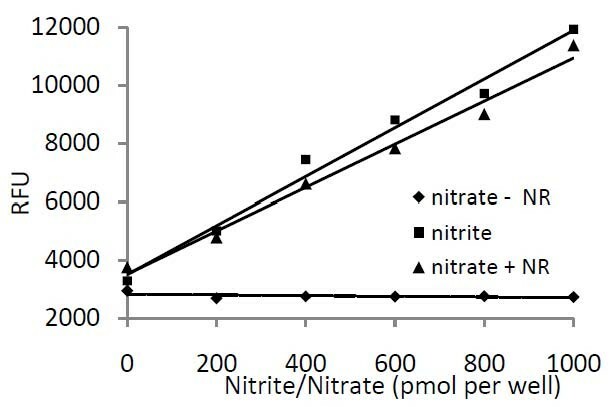 Since NO is rapidly converted to nitrite (NO²ˉ) and nitrate (NOᶟˉ), the total concentration of nitrite and nitrate is used as a quantitative measure of NO production. BioVision’s Nitric Oxide Fluorometric Assay Kit provides an accurate and convenient measurement of total nitrate/nitrite concentration in a simple two-step process. 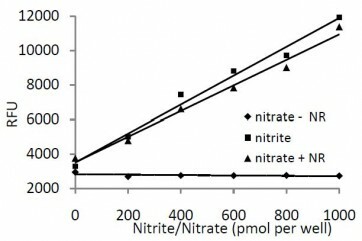 In the first step nitrate is converted to nitrite by nitrate reductase. In the second step, nitrite reacts with the fluorescent probe DAN (2, 3 diaminonaphthalene). NaOH enhances the fluorescent yield. The fluorescent intensity is proportional to the total nitric oxide production. The kit has been tested with culture media, plasma, and tissue homogenates. Hou, Ya-Min et al. (2017) Lycium barbarum polysaccharide exhibits cardioprotection in an experimental model of ischemia-reperfusion damage, Mol Med Rep. 2017 May;15(5):2653-2658. Tan et al., Pyruvate Dehydrogenase Kinase 1 Participates in Macrophage Polarization via Regulating Glucose Metabolism. J. Immunol., Jun 2015; 194: 6082 - 6089. Seth et al., M1 Polarization Bias and Subsequent Nonalcoholic Steatohepatitis Progression Is Attenuated by Nitric Oxide Donor DETA NONOate via Inhibition of CYP2E1-Induced Oxidative Stress in Obese Mice. J. Pharmacol. Exp. Ther., Nov 2014; 352: 77 - 89. Baltgalvis et al., Exercise performance and peripheral vascular insufficiency improve with AMPK activation in high-fat diet-fed mice. Am J Physiol Heart Circ Physiol, Apr 2014; 306: H1128 - H1145. Daly et al., Age-related changes in afferent pathways and urothelial function in the male mouse bladder. J. Physiol., Feb 2014; 592: 537 - 549.